What information Beauty Blitz gathers from users of Beauty Blitz. How Beauty Blitz uses the personal information that you share with us and what we learn about you because of our relationship. How Beauty Blitz uses "cookies" and "IP Addresses." What personal information, if any, Beauty Blitz may share about you with others and the conditions that protect your information if it must be shared. What kind of security measures Beauty Blitz takes to protect your information from loss or disclosure and how Beauty Blitz will inform you in the event of a security breach. The circumstances under which you can access your personal information you have shared with Beauty Blitz and have that information corrected, restrict Beauty Blitz’s use of that information, and even have it removed from our records. Other things you should know about privacy and Beauty Blitz. Beauty Blitz collects information that you provide to us or that we learn about you from your use of the Beauty Blitz website. We receive and store information you enter on BeautyBlitz.com or give to us in any other way. For example, you may provide information to Beauty Blitz when you register, sign-in, search, participate in a survey, enter a contest or request our email newsletters. As a result of those actions, you might supply us with such information as your name, address, phone number, email address, opinions and product preferences. We also automatically receive and store certain types of information whenever you visit Beauty Blitz. We might also receive information about you from other sources, such as in providing you special offers that we think will be of interest, and we may add that information to our account information. We use information we have collected about readers to provide the very best news, products and services. We do not sell your personal information to third parties for any reason. We do not disclose your personal information to unaffiliated third parties who may want to offer you their own products and services unless you have requested or authorized us to do so. We may share your personal information with third parties or affiliates of Beauty Blitz where it is necessary for us to complete a transaction or do something you have asked us to do. For example, we might need to provide your personal information to retailers whose merchandise is featured on Beauty Blitz so they can process and fulfill your request to buy merchandise. Or we may need to share your shipping address with a company whose sweepstakes you have won. We may share your personal information to third parties or affiliates of Beauty Blitz with whom we have contracted to perform services on our behalf. All companies that act on our behalf are contractually obligated to keep the personal information we provide to them confidential and to use the personal information we share only to provide the services we ask them to perform. We may disclose personal information about our readers as permitted or required by law, such as in connection with a subpoena or similar legal process, or in connection with a merger, acquisition, or bankruptcy, as discussed further below. • Website Usage. Beauty Blitz or Beauty Blitz’s authorized service providers may observe activities, preferences, and transactional data (such as your IP address, browser type, and operating system) relating to your use of the Beauty Blitz website. We may use this collected or logged information in order to provide better service, to facilitate our readers’ use of the website, to track usage of the website, and to address security hazards. Beauty Blitz, or one of Beauty Blitz’s authorized service providers, may use this information to track aggregate traffic patterns throughout BeautyBlitz.com. We may use aggregated, statistical information to describe our reader audience, products and services, and to develop partnerships with third parties to offer products and services in which we believe our readers will be interested. • Online Transactions. We collect information about you when you use our website. You may visit our site without registering, but if you wish to use special features offered on our site, you will need to provide us with certain information, including your name, address, phone number, and e-mail address, to open an account with us. We will assist you in creating a user ID and a password to protect your account information. When you provide personal financial and other personally identifiable information to the retailers or service providers featured through Beauty Blitz, the sales transaction will occur on the retailer's or service provider's site and not on Beauty Blitz. As such, the financial and personally identifiable information you provide in placing your order is controlled by that retailer or service provider. In the future, Beauty Blitz may conduct some or all of these sales transactions itself, but at this time, it only facilitates your requests. • Public Areas. Any information disclosed in public areas of Beauty Blitz is public information that may be viewed and collected by any party. We cannot control the use of information disclosed in the social networking, chat rooms, reviews, or bulletin board portions of our site. You should exercise caution when disclosing information, including photos or images, in these public areas and should refrain from disclosing personally identifying information. If you wish to use some of the public portions on our site, we will direct you to first create a public ID, which is not your real email address, before you can post information to our site. Beauty Blitz reserves the right to remove any information at any time from our site that we deem inappropriate or for any other reason. Our internal data security policies restrict access to readers’ personal information to authorized employees. Authorized employees may use our readers' personal information for Beauty Blitz business purposes only. Our employees are bound by Beauty Blitz policies that require them to maintain the confidentiality of our readers' personal information. Employees who violate these requirements are subject to disciplinary action, up to and including termination. We maintain physical, electronic, and procedural safeguards that are designed to guard our readers’ personal information. For example, for the security of your online visit to Beauty Blitz, we may make use of firewall barriers, encryption techniques, and/or authentication procedures. Unfortunately, no data transmission over the Internet can be guaranteed to be absolutely secure. As a result, while we strive to protect your personal information, Beauty Blitz cannot ensure or warrant the security of any information you transmit to us, and you do so at your own risk. In the event of a breach of the confidentiality or security of your personal information, we will notify you as necessary so you can take appropriate protective steps. Unless you indicate otherwise, we may notify you under such circumstances using the email address you provided to us when you registered with Beauty Blitz. What Are Cookies and How Does Beauty Blitz Use Them? Please note that the advertising networks serving ads on Beauty Blitz may also use their own cookies. Beauty Blitz does not control these cookies or the data collection practices of these companies. For more information about these companies' separate privacy policies, you should contact the advertising network directly. For more information on the privacy policies of our advertisers, see below. If the advertising network is a member of the Network Advertising Initiative ("NAI"), you may be able to opt out of receiving targeted advertising delivered by NAI members by following the opt-out directions on www.networkadvertising.org. What Privacy Policies Cover the Ads on Beauty Blitz? We may use third-party advertising companies to serve ads on Beauty Blitz. These companies may employ cookies and action tags to measure advertising effectiveness. Any information that these third parties collect via cookies and action tags is not connected to personally identifiable information, such as your name and email address. 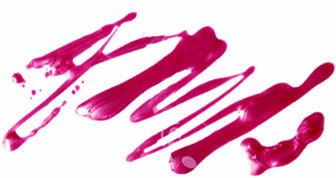 Beauty Blitz may contain links to third-party sites. Please be aware, however, that Beauty Blitz is not responsible for and cannot control the privacy policies of these other sites or their practices. We encourage you to read the privacy policies for these other sites, as they may differ from ours. You have choices when it comes to how Beauty Blitz uses your personal information. When you register online with Beauty Blitz, you can choose not to receive information about merchandise, services, and special promotional offers from us by direct mail and/or email. If you elect not to receive such product marketing information by direct mail or e-mail, Beauty Blitz may continue to contact you as necessary to service your account. You can change your contact preferences at any time by following the instructions for My Profile on Beauty Blitz. Keeping your account information accurate and up-to-date is very important, so we can provide you with excellent service. If your account information is incomplete, inaccurate, or not current, please follow the instructions for My Account on Beauty Blitz to correct your account information online. If you need additional assistance, please contact Beauty Blitz at info@beautyblitz.com. Beauty Blitz is hosted in the United States and is intended for United States visitors. This Privacy and Security Policy applies to customer relationships established in the United States. Parts of this Privacy and Security Policy may not apply to visitors outside the United States. Like almost every website, Beauty Blitz may be accessed by an international audience. If you are a non-U.S. visitor to our website, by visiting our website and providing us with data, you acknowledge and agree that your personal information may be processed for the purposes identified in this Privacy and Security Policy. In addition, such data may be stored on servers located outside your resident jurisdiction, which may have less stringent privacy practices than your own. By providing us with your data, you consent to transfer of such data. If Beauty Blitz should ever file for bankruptcy or merge with another company, or if Beauty Blitz should decide to buy another business or sell or reorganize part or all of Beauty Blitz’s business, Beauty Blitz may be required to disclose your personal information to prospective or actual purchasers and other parties. It is Beauty Blitz’s practice to obtain appropriate protections for information disclosed in these types of transactions. Beauty Blitz cannot, however, guarantee that Beauty Blitz’s Privacy and Security Policy will remain unchanged if Beauty Blitz is sold or merges with another company. Beauty Blitz and BeautyBlitz.com are registered trademarks of Beauty Blitz Media LLC.